A synonymous name is making a return to the golf course, recalling memories of legendary player Greg Norman dominating the World Rankings for 331 consecutive weeks in the late 1980’s and early 1990’s. It’s the return of the KING. 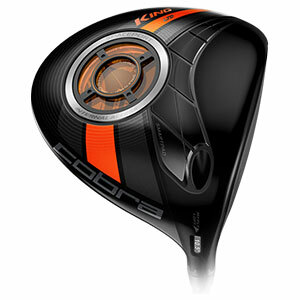 KING Cobra should be recognisable to golfers with a fondness of classic drivers, and fans of Cobra Golf will likely be excited about its impending return to the greens after such a long absence. But at a time when reprising classic models is at an all-time boom (see Callaway’s Big Bertha for starters), it’s not a surprise that Cobra are bringing back such an iconic and popular club. The KING LTD Driver, according to Cobra, is the longest and straightest they’ve ever made. And to achieve this the company has taken to outer-space to inspire state-of-the-art technology to really set itself apart from the competition. A partnership with the Centre for the Advancement of Science in Space (CASIS), the Cobra design team has carried out research on the International Space Station, thus creating some of the most technologically advanced golf products in the world. 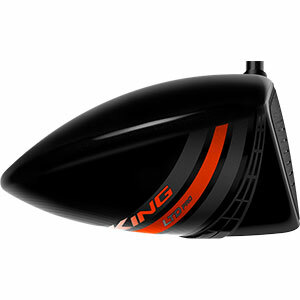 And the Space Station influence is crystalline obvious with a glance at the KINGLTD driver design. It has a SpacePort found on the sole of the club, and that’s just for starters. There is a multi-purpose 16g weight, made from aerospace aluminium, that positions weight in the driver to help create the combination of low centre of gravity (CG) and high MOI that Cobra has put together for the distance and forgiveness package of the KING LTD. The nifty SpacePort also comes with a unique twist as its construction allows the player to look right at the interior of the club and view all the intricate internal design within the club head. Then there’s Zero Gravity. Cobra claims that the KING LTD is the first driver with a Zero Gravity CG position. Most drivers on the market have a CG that is positioned above the neutral axis line (a line from the centre of the face to the back of the club) but KING LTD is the first driver Cobra has developed able to position CG on this neutral line. The result of this is that the KING LTD produces more efficient transfer of energy at impact without sacrificing forgiveness and that results in a combination of higher launch and less spin at impact for greater golf ball speeds. Lighter, stronger crown (this is a king, after all) has been fashioned in a striking black, from TeXtreme Carbon Fibre, a product 20% lighter than standard Carbon Fibre. This allows the weight to be redistributed to the outside of the club to increase forgiveness and promote a stronger and straighter ball flight. The KING LTD also includes some proven classic Cobra technology which comes in the shape of the E9 face and Speed Channel that we’ve seen in previous iterations of Cobra driver. The redesigned E9 face is made from a Forged 8-1-1 Titanium and has a variable thickness to create a larger sweet spot across the face, with the thinner areas creating greater deflection at impact to increase ball speeds, especially on off-centre strikes. Last but certainly not least is the return of a familiar feature: MyFly adjustable hosel with SmartPad, which allows players the choice of eight loft settings, three of which are draw settings. This helps fine-tune the launch conditions to suit their individual swings. The KING returns soon to American Golf so keep checking back for updates on its highly-anticipated release.